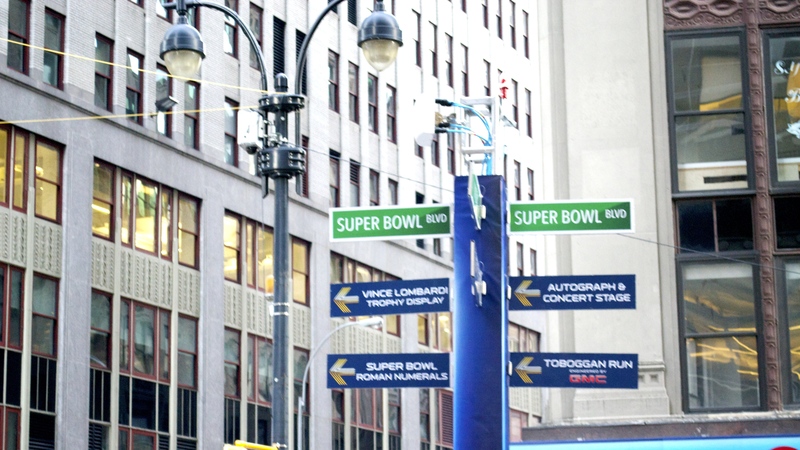 The NFL events staff put a new spin on the NFL Experience and temporarily renamed Broadway “Super Bowl Boulevard” from 34th Street to 47th Street. It started last Wednesday and ended on Saturday. I didn’t get to go until Saturday, which was unfortunate because it was packed. There was a lot of foot traffic and confusion. There were so many people that if you were able to participate, or get to, any of the various events, you were lucky. Each day, there were a few NFL players there to sign autographs. There was an XBox One station. The Toboggan Run, which was a huge slide they had in Times Square, and the only thing people had to pay for. I think this was a wonderful idea, but it would have been even better if they had a way to accommodate more of the people who came, especially on the weekend. 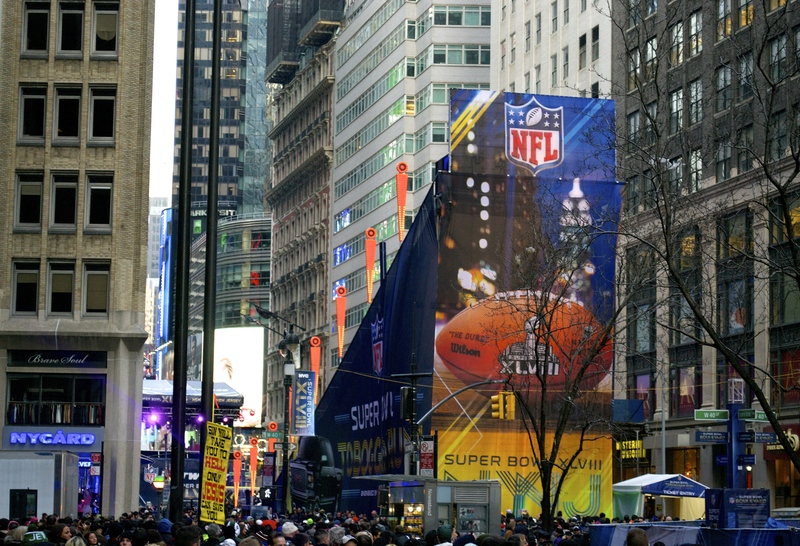 A couple of my friends and I not only went to Super Bowl Blvd but also made our way to lower Manhattan. One World Trade Center looks quite nice. Side note: Apple of My Eye turned 1-year-old yesterday! Thank you for checking out my blog. It really means a lot. I look forward to the great things that are happening very soon!